This program is for the serious dancer who is looking to further their dance training with the focus being on developing dancers to audition for college and a professional career in dance. Extra practice and conventions each season will aid in this technique intensive program. Premiere's Pre - Professional Program is designed with the serious dancer in mind. This program is for dancers ages 12 and up who consider dance their main extra curricular activity and are willing to put extra time and commitment to the art. The Pre-Pro Program is by audition only. Auditions will take place May 22, 2016 for the 2016 - 2017 year. 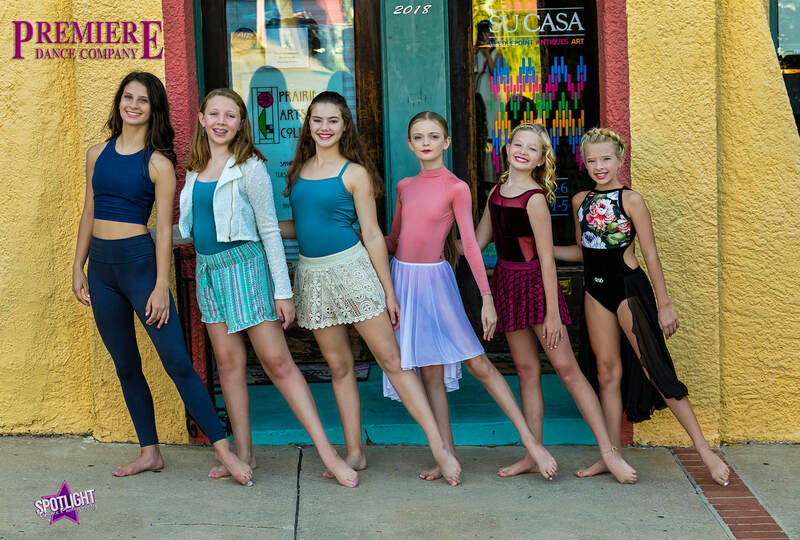 When deciding if the pre professional program is for you, each dancer is required to sign a contract stating that they will participate not only in company but will enter an extra dance in competitions, attend all required classes for company as well as at least 3 optional classes per week. Dancers in this program also will attend an extra convention, compete in at least 1 extra competition and compete at a national competition. ​Attendance and commitment are emphasized and Premiere will have the right to remove any dancer from the program if the dancer is not showing the level of commitment expected from the program. Please contact our office if you are interested in this program. We would love to help you develop your skills!